Did you ever see the episode of “The Simpsons” where Lisa Simpson (the most intelligent member of the family) gets invited to join the Springfield chapter of Mensa? That’s how it felt to walk into Providence’s What Cheer Writers Club (WCWC). If that reference falls flat for you, Lisa (often treated like the black sheep, due to her intelligence) finally feels at home when she attends a private club for the Springfield’s brightest and most insightful townsfolk. It’s a safe haven for the town’s gifted and talented to listen to classical music, top each others’ palindromes and discuss local library policy. I’m not comparing myself to Lisa Simpson in this scenario, but I would certainly compare What Cheer Writers Club to the Springfield Mensa chapter (minus Principal Skinner). I was invited to WCWC for the opening of their podcast studio. I was excited to finally have a reason to see the headquarters and I was extremely impressed. 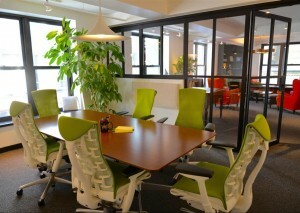 Right near The Arcade in downtown Providence, WCWC has a beautiful set of offices, writers rooms and conference areas. I was lucky enough to talk to Jillian Winters, the general manager and Jodie Vinson, the program manager about WCWC. Chuck Staton: What would you like to accomplish with WCWC? Jodie Vinson: What Cheer Writers Club is a nonprofit serving writers, illustrators, indie publishers, journalists and podcasters across Rhode Island. By providing a physical meeting ground, we hope to foster a sense of community among content creators who might otherwise feel isolated and without support. Jillian Winters: The primary idea was to have a coworking space designed with the “writer” in mind – a quiet space for solo working. However, in talking with local organizations, writers and creators to find out what they would want in such a space, it came to light that what most really wanted was a way to easily connect. CS: How was your experience starting this process? JW: There was a lot of work to be done to figure out what the community needed. The more we talked with organizations like Frequency Writers, Goat Hill, Write RI, AS220 and many more, the more excited we were by just how excited everyone else was about our existence! 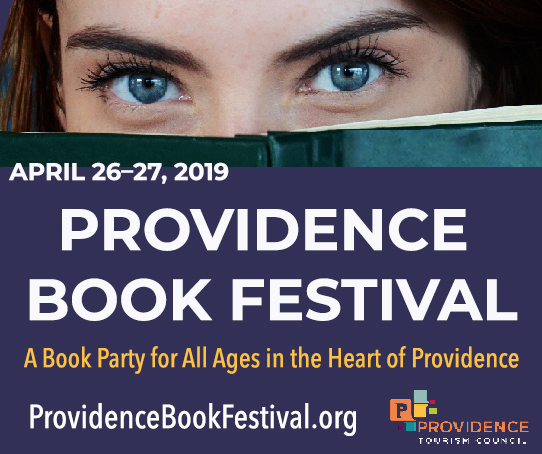 JV: I recently moved to Providence and, as an outsider, felt a growing momentum in the literary community – a desire for like-minded creatives to find each other and work together. CS: Why did you decide to open a podcast studio? CS: What’s the best way for people to get involved with WCWC? JV: If you haven’t visited our headquarters at 160 Westminster St. in downtown Providence, that’s a great place to start. We’re open seven days and three nights a week and are happy to give visitors a tour anytime during open hours. We hold monthly Member Meet-Ups on the first Thursday of every month and teach a Podcasting 101 class every third Thursday at the club. JW: This state offers so much…and we want to be able to take all of that, put it all together, and show creators (and their readers/consumers) in RI, and those outside of RI, just how much this state has to offer. Next post: AltHealth: Can Alzheimer’s Disease Be Prevented?